Are you looking for the best one-tap VPN for iPhone? VPN Proxy by Appsverse might be the best option if you are looking a great VPN that offers a quick "One-tap-to-connect". VPN Proxy is constantly ranked as one of top-rated and top-downloaded VPN apps on the App Store, beating other more prominent VPN providers. With its "One-tap-to-connect" feature, VPN Proxy is unbelievably easy to use and super quick to connect. 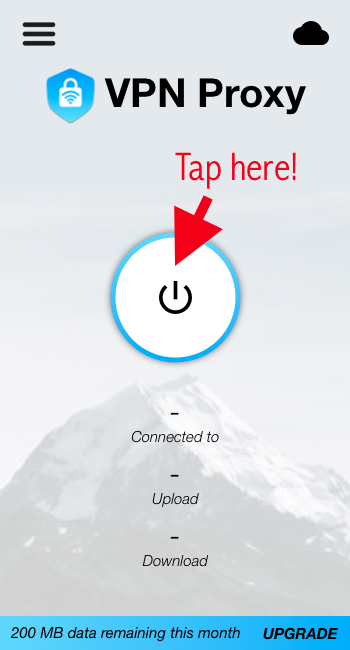 Simply connect to the VPN service with a single tap, without signing up for an account. Wondering why so many users love VPN Proxy? The secret lies in how easy we make it for users to get started to connect to a VPN server. Our one-tap-to-connect feature DOES NOT require any signing up or starting of subscription plans to begin. 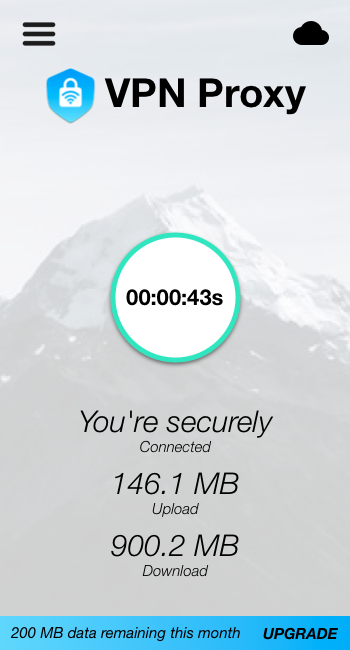 Right after you download the app, just tap on CONNECT, and you will be connected to a VPN server within seconds. This is completely unlike tons of other major VPN providers such as Nord VPN and Tunnel Bear, which by default requires you to either register with an email address or start a subscription with your credit card. That defeats the whole point of a VPN isn't it? The whole reason why anyone would want a VPN is to hide your real identity, and registering an account is simply just giving it away again. VPN Proxy gives you one-tap access these powerful privacy features to help protect your personal privacy and to unlock restrictions on the Internet. Can I use VPN Proxy in my country? VPN Proxy works in any part of the world, whether you are in the US, UK, Australia, or even in Asia. The only exception would be China, which has implemented stringent laws regarding the downloading and usage of VPN apps. VPN Proxy is absolutely free to use and to get started. Where to download VPN Proxy? You can download our VPN Proxy, our top-rated, top-downloaded One-tap VPN, either for iOS or Android.